Here are some tips and ways to show you how to lose 5 pounds in a week the healthy way, without going on crazy fad diets or exercising to excess. Most of it is common sense, and the good news is that 5 pounds is not excessive weight loss in a 7 day period. If you need to lose more and stay on a diet for longer, you will usually find that the rate slows down a bit. Even a rate of 2 pounds a week, or around 1 kilo a week is a nice safe rate of weight loss over a longer period of time. Remember that you did not gain the extra fat that quickly, so be aware of the need to not lose weight too quickly or it can damage your health, and it is unlikely to stay off for long. A nice speedy start is good for motivation, and a small weight drop of 5lb or about 2 1/2 kilos is usually what most people want to be able to fit into a party dress for a special occasion, so some small changes can achieve that quickly, and we cover some tips here. Being a little bit overweight is one of the scourges of modern day life. Our sedentary lifestyle and fatty foods work against us when it comes to optimum health and weight control. However there are a few simple ways that if used all the time will certainly help you in how to lose 5 pounds in a week or prevent you from gaining more. You don’t have to spend money on the services of a trainer or dietician if you follow these simple tips. The best natural drink you can get that certainly will not put calories into your body is water. 6 to 8 glasses of water every day will flush out toxins and make your skin hydrated and healthy. It will boost your metabolism to burn more fats and also helps prevent digestion problems. Never drink water immediately after your meal, but about half an hour before it for the best result. Water will fill you up so that you won’t want to eat as much. Many people would be surprised to know that they eat oil. If food is cooked in oil then it is absorbed into that food and eaten. This leads to an increase in the number of calories you consume. Instead, find different healthy ways to cook your food such as steaming or even grilling it. There are many kinds of foods you can swap for more Low Calorie Substitutes that will help you lose weight faster. While most of us have three meals a day, eating less more often is really better. Plan to have 5 to 6 smaller but nutritious meals a day. This would fall under the category of portion control or calorie counting as a diet strategy. This also helps to ensure that digestion is complete and also aids weight loss. Fruit is known for its natural ingredients many of which provide wonderful nutrients. Have fresh fruit at breakfast, lunch and after dinner to boost your general health. Fruit will provide many essential vitamins and minerals to your body. You can learn more here about how to lose weight eating raw foods. Many herbs are naturally rich in antioxidants and this can be really helpful in your fight to lose weight. For example green tea is rich in antioxidants that help to fight obesity. It can help you to boost your metabolism and also works as a good anti-aging agent. Now that you know some safe and healthy diet strategies for weight loss, the only thing you need to do is practice them. While a strong willpower and great motivation will help you to lose weight, the above remedies are so simple and pleasant that they can be done almost without any effort. When we think of getting rid of those unwanted kilos or pounds, most people will think of diets for weight loss. What you have to be careful of is that they give your body the required nutrition while limiting fat, sugar and carbohydrates. Many people eat foods that are high in these three culprits, but before we talk about eliminating them let it be said that a certain amount of each is necessary for good health. That is why your body starts to crave for foods containing them when you start to not take them out of your daily food. That said, most people eat far too much in the way of fats and sugary food, and so should work on reducing those things, though not eliminating them totally. So when choosing a diet for how to lose 5 pounds in a week, be sure it does actually contain enough nutrition so that your body is not harmed. You may even lose weight simply by increasing your fruit and vegetable intake and refusing or reducing sweets each night. And you will have to decrease things such as soda drinks, chocolates and candies too, of course. There are quite a few popular diets for weight loss to be found. One is the hCG weight loss plan that involves having injections or oral drops of the hCG hormone either by your doctor or in some cases you may be able to self inject. You will need to have blood tests and a general overall health check-up before you start. It is important to follow all the instructions that come with your particular diet plan. 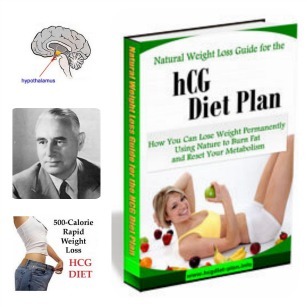 Many HCG diet plans also include taking very few calories. Another diet plan is the high protein diet where you basically replace carbohydrates such as cakes and biscuits with a protein food such as fish, dairy, eggs, nuts, seeds and meat. The Atkins diet and the Zone diet are both examples of high protein diets; however the former also includes fats while it limits carbohydrate foods such as potatoes, fruit and bread. Many diets are helpful in losing weight in the beginning, but should not be used as a permanent solution to weight loss and they are not really that healthy for us in the long term. Perhaps the simplest diet for weight loss includes food from all food sources, but limits those that are high in fat and sugar such as fast foods, fried food and things like sodas, ice-cream, custard and cake. Seeking moderation in all things is perhaps the best weight loss diet of all. There are many weight loss supplements on the market today but do they work? Like everything, you have to take care when finding supplements to help you lose weight. Some people will tell you anything just to sell a product! Other supplements may help you in your weight loss endeavours by decreasing your appetite or increasing the metabolism so that you are highly motivated to get more exercise. * Fucoxanthin is a substance found in brown seaweed that is often used in Japanese dishes such as miso soup. It should be taken in capsule or tablet form when being used to promote weight loss. No studies have been carried out on humans; only on animals where rats and mice seemed to lose weight after consuming it. While safe in soups, in tablet form it is much stronger and could cause iodine poisoning or interfere with the thyroid gland. Also, some people are allergic to iodine. * Green tea has become popular as an aid to weight loss. The substances in it such as theanine are believed to raise the metabolism and reduce appetite. However, just drinking green tea alone will not do much for any loss of weight. Any weight loss supplements need to be taken in conjunction with other forms of losing weight such as dieting and exercise. * White bean extract is another supplement that people often take to help them lose weight. The substances in it are supposed to prevent carbohydrates turning into sugar in your body. While few studies have been conducted, one suggests that white bean extract certainly does help people to lose weight. * Conjugated linoleic acid (CLA) is a fatty acid that comes from beef and dairy foods. It is available as a supplement and is said to increase muscle mass while decreasing fat. While some studies showed success in losing weight for those who took it, other studies did not. The main thing to remember is that it was also found to have a negative impact on blood sugar metabolism and it is possible it may contribute to insulin resistance. * Chitosan made from chitin a substance found in the shells of lobsters and crabs. It is said to fight fat absorption, but can cause constipation and an upset stomach, while absorption of vital nutrients could be compromised. However, some studies found it did work on weight loss. It is wise to talk to your doctor before taking any supplements for weight loss or for other reasons. A good diet plan and exercise are usually the safest way to lose weight. Once you put into practice a few other techniques such as taking a brisk walk every day and reducing the number of cakes and chocolate bars you eat, your goal of losing weight naturally will soon become a reality. Being overweight, especially if you are in the range of being obese, is a really bad health risk. To get rid of that unwanted weight you need to burn calories off and the best way to do this is to exercise. However, when you are truly obese exercise is not only unpleasant but difficult. You also have to be careful that you don’t have a heart attack through exercising too much for your condition. That is why it is necessary to exercise under the care of a trainer or your doctor. However, since burning fat is the best way to get results when learning how to lose 5 pounds in a week and to prevent obesity, it is good idea to increase your resting metabolism rate (RMR), so that you will even burn fat while you are at rest. This can be done through both diet and milder exercises that are pleasant to do. You need to exercise for a minimum of 40 minutes to burn enough calories per day to keep your weight in check. When you exercise you will boost your metabolic rate and that will continue even after you stop exercising. If you hate the thought of exercising why not consider these forms of exercise? * Dancing – you can dance the night away to music and really enjoy yourself. The dance can be a slow one such as the waltz or you can do group dances such as line dancing that do not take much out of you. If you are unfit, start with a simple walk around your own garden, just get moving a bit more than you normally would. * Consider taking up gardening. You can do the harder chores such as digging, at your own pace, while the pleasure you get from watching your garden grow will motivate you to put in the necessary effort. * Start an active hobby. Another hobby such as photography that requires walking can also be taken up. Volunteering to do community work, or help the elderly, or deliver meals on wheels, doing any hobby or activity that gets you moving more than before is a good start. * Doing a sport such as golf, croquet or lawn bowls will get you out mixing with others and give you exercise in a way that is easy and pleasant. You will be so intent on getting that ball in the right place that you will forget you are exercising. What Weight Loss Products will Help You? Buying specific weight loss products will help you to lose weight so long as you do actually use them on a regular basis. Many people spend oodles of money on some kind of product for losing weight and then only use it once or twice. Why? Because, you have to be highly motivated to exercise on any kind of machine, especially if it is installed in your own home. We are used to thinking of home as a place where we relax, so working out on a machine is really hard to do and keep doing after the novelty wears off. Most exercise equipment bought to help people lose weight ends up being an expensive clothes hanger, stuck in the corner of your room. It's true! That said, using a machine for weight loss such as a treadmill or abs exerciser will certainly help you to shed weight and get fitter. It will tone your body so that there are no ugly wrinkles or saggy bits. And if you work out a schedule to fit in using it, it can become an integral part of your day. Here are some of the best weight loss products. * Walking is supposed to be the best exercise, and a treadmill will help you to walk in the safety of your own home, at a time when you may not feel like going out to the park to walk. Plus, you can run on a treadmill and so burn even more calories. * The stepper is similar to the treadmill but causes less jarring to knees and hips. Both can be bought with handles that help you work out your arms as well. * A rowing machine is ideal for people who like to sit down for their exercise. It will work out your arms and legs, back and abdomen too. What more could you want? * A simple skipping rope could be all you need to help you burn calories. Put on some lively music and jump rope for all you are worth. Your kids will love to join in too. * An exercise bike is ideal for losing weight and can be set to offer resistance for a better workout. Of course there are many other weight loss products on the market apart from equipment. 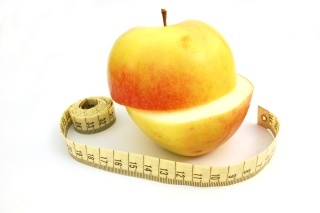 You can get supplements, diet pills, diet plans, herbal remedies and even hypnotherapy for weight loss. If you are looking for help to lose more than 5 pounds in a week, or are very overweight is it a good idea to lose weight under the care of your doctor. Since you are on this page to learn about how to lose 5 pounds in a week, I'm going to assume that you do not have a lot of weight to lose right away. Which means you can quickly and safely lose those couple of kilos without undue stress to your body. But if you want to lose 30 - 30 - 40 - 50 pounds or kilos, then you need to make a commitment to a long term plan, and not try to lose it all in a few weeks or months. It usually takes years to pile on so much excess fat that you just know you have to do something about it. Yet when most people finally decide to go on a diet they usually want results fast – like in the next week or two. But too quick a weight loss is not a good idea for several reasons. Here are three reasons why you should not lose weight too quickly. * When you lose weight too fast you are usually starving your body to do so. A starving body is not a healthy one; you can find all sorts of health problems popping up. Your body will even start to take nutrition from your bones in order to survive. And there will come a time when you just cannot resist those hunger pangs any longer and then you are very likely to binge eat and undo any weight loss. * Losing weight too fast often means that you have only lost water, not fat. Thus your body will become dehydrated, you will get thirsty and drink more and of course, this will show up on the scales as having put ‘weight’ back on. Add to that you may drink high sugar drinks that will actually increase your weight faster. In addition, being dehydrated is dangerous, especially in hot weather. Your body needs plenty of fluids – and water is the healthiest. * Trying for quick weight loss is not a good idea because it puts a strain on your body and organs. To lose weight fast you will need to both starve and exercise hard. This is sure to put a big strain on your heart, not to mention those muscles, joints and ligaments. In fact, it is very hard to lose much weight quickly; you would have to spend many hours of the day walking or working out in other ways. Most people cannot afford that amount of time to spend on losing weight. If you are obese or overweight you body is already under strain and if you put in enough effort all of a sudden to lose weight fast it will be under double the strain. It is far better to decide to lose weight more slowly but steadily so that you can remain healthy. Achieving your goal by using these tips for how to lose 5 pounds in a week should be more than fast enough for you. Anyone who wants to lose weight should forget quick weight loss and choose a 12-month plan that teaches them how to shed those pounds in a healthy manner. They should also make permanent changes to their lifestyle so that they do not put all that weight back on again afterwards. Have you ever noticed that some people can eat as much as they want of whatever they want and not gain a pound? The reason some people don’t gain while others do is because of that person’s individual metabolism. In The Diet Solution, this book wisely points out that people don’t have the same metabolic rate. You may have been taught that the faster the metabolism, the faster weight is able to be lost and the slower the metabolism, the more difficult it is to lose weight. While that’s true, there’s something else you might not be aware of. Foods can either work with or against your metabolism and what The Diet Solution does is take a natural stance by showing people how they can find their individual metabolism type and use it to help them get in shape. You’ve probably also heard about good foods versus bad foods to eat while trying to lose weight. This guide clarifies that by explaining how foods can be broken down as helpful or not helpful according to what your metabolic type is. Once you know which type you have, then the losing weight becomes a whole lot easier. What users like about this program is that it doesn’t rely on fads or on any quick fixes. In fact, it adheres to a weight loss schedule that doctors instruct patients to aim for - which is no more than two pounds a week. What The Diet Solution does is take the whole person on the weight loss journey. When users first buy the program, they’ll learn what their body’s metabolism is like. They’ll be taught the amount of food they should eat based on their lifestyle and they’ll also learn exactly how much of what foods they need to eat per meal. Some people will be eating more carbs while others will eat less. It all depends on the metabolic type. The Diet Solution benefits users because it lends to overall good health and doesn’t simply focus on weight loss. By following the gentle, natural guidance in the book, users can enjoy lowered blood pressure, better glucose readings and more. Once the program tells you what kind of metabolism you have, you’ll be given a meal plan for six weeks and your metabolism type will be figured into this plan. This is an excellent weight loss program for people who hate to exercise because although exercise is good and should be done, the plan isn’t dependent on that. This plan can help you to get started on losing weight as well as help you maintain the loss. 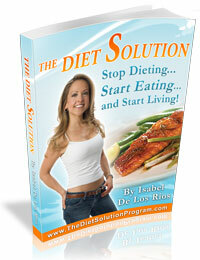 To learn more about The Diet Solution - complete program => Click Here! If you talked to 100 people, more than half of them would say they’d like to lose weight and get fit. Yet, that same group of people won’t do it. For the majority of people who want to lose weight, motivation and determination aren’t what’s lacking. What’s lacking is the knowledge and the right tools to help them. You’ve seen those weight loss pills and other diet products - yet people are still out of shape. Why? Because there’s no guidance or expert help involved. The people who use these products are on their own. Expertise and guidance go a long way toward helping people achieve success. That’s what you’ll find with Customized Fat Loss. This program was created based on the knowledge that two people who both want to lose weight won’t achieve the same results at the same time. Why? Because the body type is not identical and never will be. That’s the reason some weight loss products fail to give results. People are not alike. What Customized Fat Loss does is recognize the different body types, personalities and preferences. It then tailors a program within the program to give you success with weight loss and fitness. The plan is customized just for you. For example, the nutrition portion is detailed - not just with the healthy foods and with your food preferences, but also for your body type. It’s the same with the workout plan. With Customized Fat Loss, you get a plan that’s so specific it will only work for your body type. Even if you don’t know where you fit in the lineup, the program will show you. When you first log in, you’ll go through a series of questions about yourself so the program can customize your plan. You’ll get three parts with this system. You get the ebook, the visuals and the software. You can also get help when you have a question. It’s like having your own personal trainer. What the program does that makes it a favorite is that it allows you to input the foods you currently eat and want to keep into the program. It then takes those foods and puts them into your nutrition plan. There are a lot of positives with this program. First, it doesn’t rely on supplements or pills in order to work. Secondly, the nutrition portion is well laid out and gives you a variety of options so that you don’t experience food boredom. Third, because it’s customized, you’re more apt to stay with the program until you reach your goal. To learn more about the Customized Fat Loss diet program >> Click Here! This page covers some of the safest ways for how to lose 5 pounds in a week, but obviously there are many diet plans out there that show you specific ways to achieve this. My book "7 ways in 7 days to Lose 5 Pounds" will show you how in step-by-step daily stages to make sure you achieve your goals, so look out for the book details to be posted on this page soon! A lot of times, being overweight is the result of a lack of knowledge or understanding of how the metabolism works. If this is the case, then you should take the time to begin researching the subject it is that you don’t know much about, like how to lose 5 pounds in a week the healthy way. There is a lot of power and relief that comes from learning about various healthy ways to lose weight, get fit, and then maintain lifetime fitness. As discussed on this page, part from this is achieved with easy exercising, and a diet plan will also help to prevent an increase in weight. The healthy diet program should be planned in such a way so that it boosts the metabolic rate. Lots of calories are burned naturally and this helps in the reduction of weight. A higher carbohydrate intake causes your resting metabolic rate to become lower. So plan your diet so that you get all the essential nutrients, minerals and vitamins in the required proportions, but miss the carbohydrates. Just follow one step per day and you can lose the 5 pounds easily in one week. Losing weight isn't hard you just need to make a few lifestyle adjustments. These changes are minimal but can add up to a huge difference when you are trying to lose weight. Following the detailed information in this book will help you step by step to achieve your weight loss goals, on a healthy diet, that is safe to follow, and is based only on natural nutrition - no drugs, no processed / packaged meals or strange foods you hate! 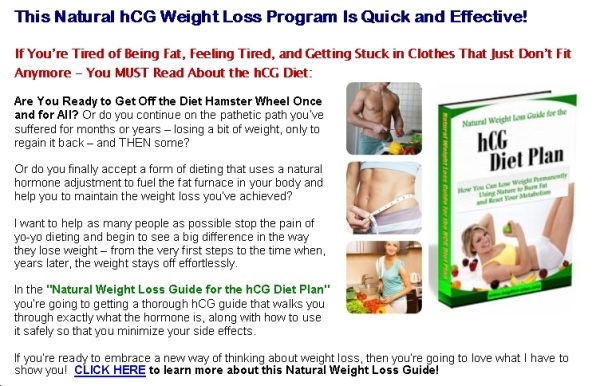 And on this site you can learn more about the famous hCG weight loss plan that has been popular for decades, designed by a doctor, that is having a revival at the moment. This diet plan might just be the answer for people who have not had success with the usual diet plans, or can't get rapid enough weight loss. Below here I'm featuring more pages with helpful how-to-do-it tips on how to lose five pounds in a week. Is It Really Possible to Lose Weight in 1 Week? What Makes Belly Fat So Dangerous to Your Health? Back to HOME PAGE of this how to lose 5 pounds in a week the healthy way section of the site.